How many times have you attempted a new content marketing strategy, only to fall behind? The same report found that just 39% of B2B marketers have a documented content strategy. So, how do you start a content marketing strategy from scratch–and actually hit the gas pedal on a strategy that brings in targeted website visitors, while also being realistic with the resources you have available? We asked 40 top marketers exactly that. Here’s what they said. 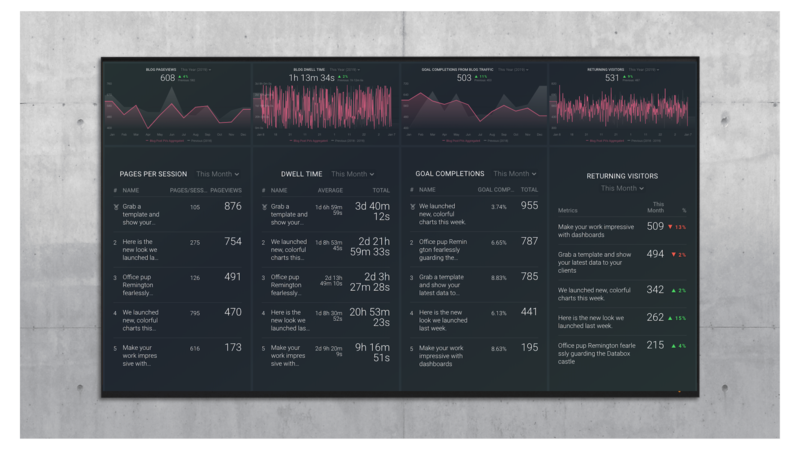 *Editor’s note: Whether you’re already a prolific blogger or just now building the foundation, track the success of your efforts in real-time with the free Blog Quality Metrics template. There’s not much point in investing in content marketing if it doesn’t impact your company-wide goals. “Seriously, which specific business goals are you trying to accomplish? Drive revenue? Decrease churn? Build a top-level sales pipeline? Once you know what your goal is, how will you measure its success? The way you think about your content marketing strategy has a huge impact on your success. Don’t go into your content marketing strategy praying to instantly create content your target customer craves without any prior research. “It’s really easy to create content that gets a lot of social traction or organic traffic, but if the content is just not right for these people (for example because they don’t have that specific problem just yet), then that’s worthless traffic”, says BOOM Marketing Agency’s CEO David Balogh. Remember how earlier we discussed how focusing on vanity metrics is likely to result in a content marketing strategy that fails to drive business growth? Determine those problems by creating buyer personas. Any guesswork at your buyer persona creation could increase the chances of missing a key trait your ideal customers share. “Do research and completely understand them before taking any other steps”, recommends How To Make My Blog‘s Marko Saric. “Where are they spending time online? What questions do they have? What issues do they want to solve?”. Don’t be stuck in limbo, debating whether the content you’re going to invest huge amounts of time in is actually worth it. If you don’t create content around topics your audience (and target customers) want, you’ll stand a tough chance at meeting those goals we defined earlier. “If you don’t know where to start, start with the most frequently asked questions you get and start writing about those. 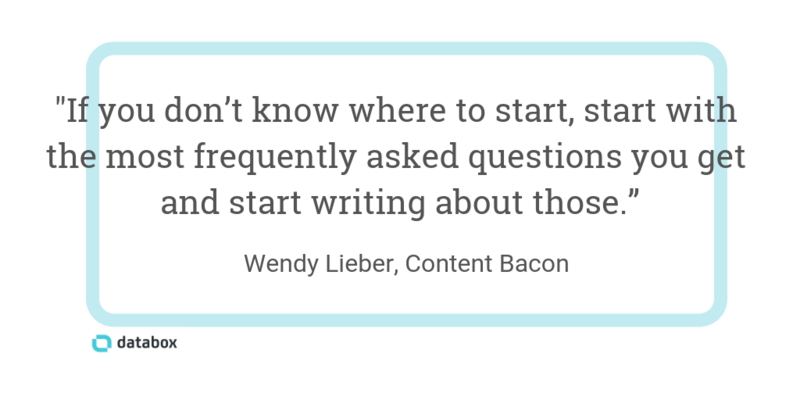 Or what do you wish prospects would ask you”, explains Content Bacon‘s Wendy Lieber. “Your customer service and sales teams are also great assets for content ideas. Ask them what type of content will support their goals”, says Kaylee Pope of Prime Publishing LLC. “What pain points can you blog about? What solutions can you offer?”. 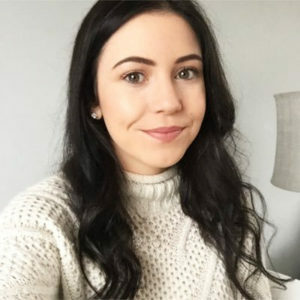 “When we develop marketing strategies for our retirement community clients, our inbound marketing experts dig deep into the data to see what content is likely to truly engage their audiences”, says Chantelle Stevenson of Clear Pivot. 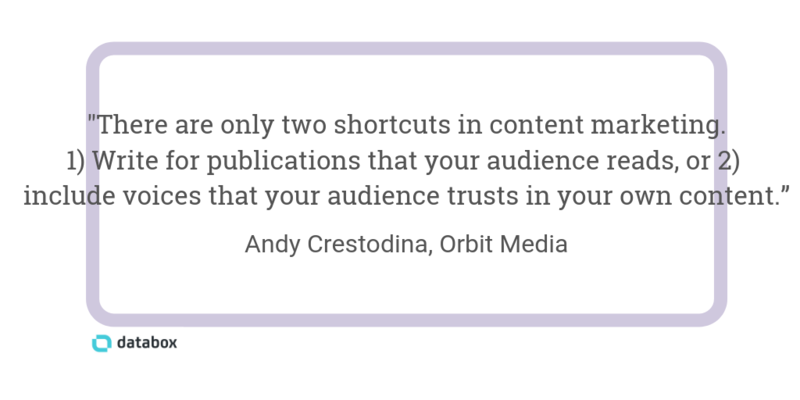 Buzzsumo: Which type of content in your industry gets the most shares? Google Trends: Is the topic you want to cover increasing or decreasing in popularity? Google Analytics: Which topic tends to get the highest time on site, unique page views, and conversions (AKA goals)? Blogging has long been hailed as the holy grail channel in content marketing. 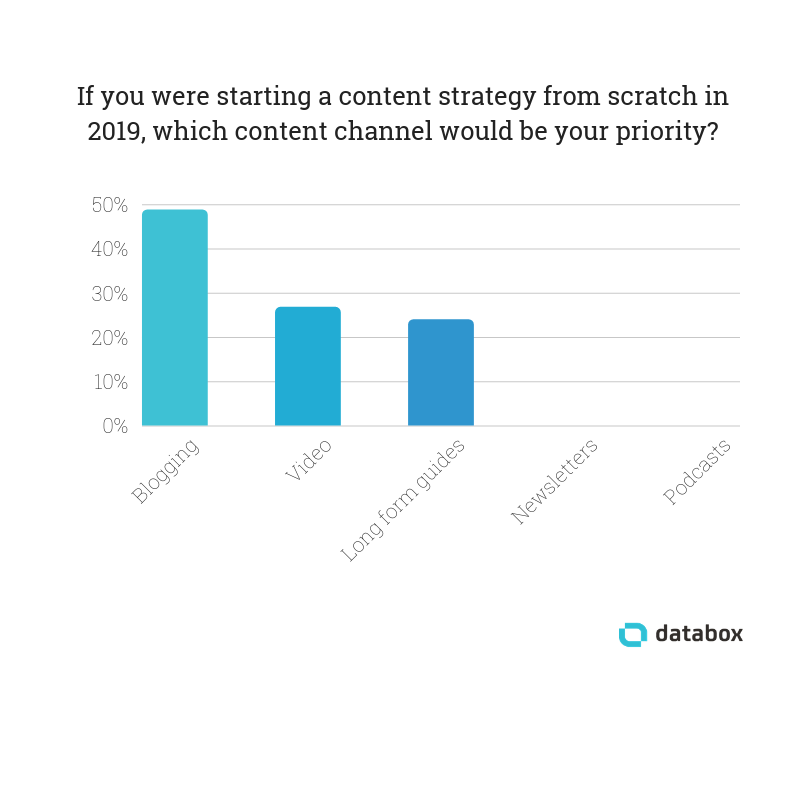 Almost half of the marketers we asked would name it as their top priority were they starting a content marketing strategy from scratch in 2019. But with so many channels for you to explore, it can be tough to resist the temptation of including multiple in your strategy. The secret to excellent content marketing is finding out which type of content your audience wants through the feedback stages we discussed earlier. 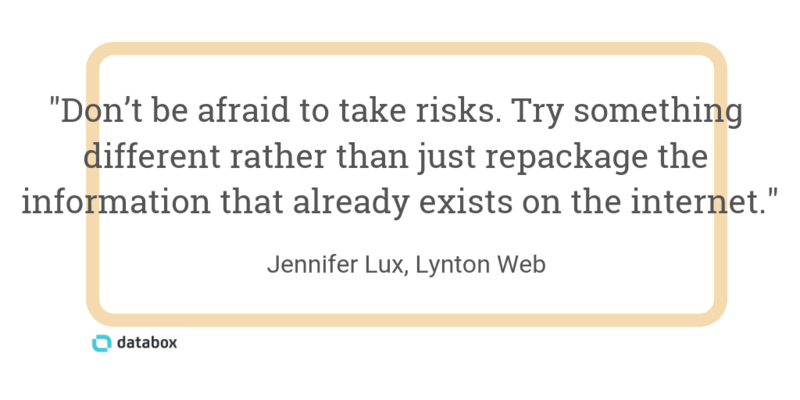 That doesn’t mean blogging should form 100% of your strategy. Establishing yourself as a go-to figure in your industry is built through sharing opinions thought leadership. Did you know that the average person spends just 37 seconds reading a piece of online content? It’s disheartening, but Syed Irfan Ajmal from GigWorker explains how you can increase the likelihood of your content being consumed by keeping it interesting. The topic ideas you’ve listed are likely to cover one overarching topic. Now you understand your competition, you’ll have a good understanding of what you’ll need to do to beat it. Over 70,000 searches are made through Google every second. That’s good news for marketers–but the even better news? Leads that come from organic search have significantly higher close rates than outbound leads (14.6% versus 1.7%). It goes without saying that you’ll want a slice of the action. SmallPDF‘s Hung Nguyen says you should “start with competitive keyword analysis of your top 3-4 competitors, and see which keywords they are currently ranking for that you are not” when planning your SEO takeover. Ready to hit publish on your new website? Double-check the location of your blog isn’t going to cause any SEO problems. You likely already know that keywords are vital to SEO. Understanding the search terms people are using, and targeting them in your own content, helps your website to rank when your target customers are browsing. But which type of keywords should you start with? Relentless Pursuit of Perfection Ltd‘s Jason Lavis recommends “you clump together similar low volume, low competition phrases and create content including them”. Google’s top priority is to show the highest quality results for any search query–hence why you’ll need to focus on the quality of content you’re creating, rather than quantity. Don’t be a slave to a jam-packed editorial calendar if you’re not publishing your best stuff. If you’ve poured time, effort and cash into creating a piece of content, you don’t want it to rot in your blog’s archive–only viewed once every few weeks. That strategy will never get results. This is why you need to be smart with promoting and driving relevant eyeballs to your website. Social media is a fantastic way to do that, especially with the number of social media users set to soar to 2.77 billion in 2019. The usage of online communities is set to soar this year. Facebook Groups, forums, and Q&A-style sites house communities for likeminded people to discuss a specific topic. But some marketers have jumped onto the shift towards niche communities for content promotion. So, which online communities should you be using? 43% of advertisers in the U.S. are planning to increase influencer marketing budgets–likely because a third of Twitter audiences follow and engage with social media celebrities and influencers. These experts recommend harnessing that power in your content marketing strategy. But before you send outreach emails to huge names in your industry, work on your credibility first. 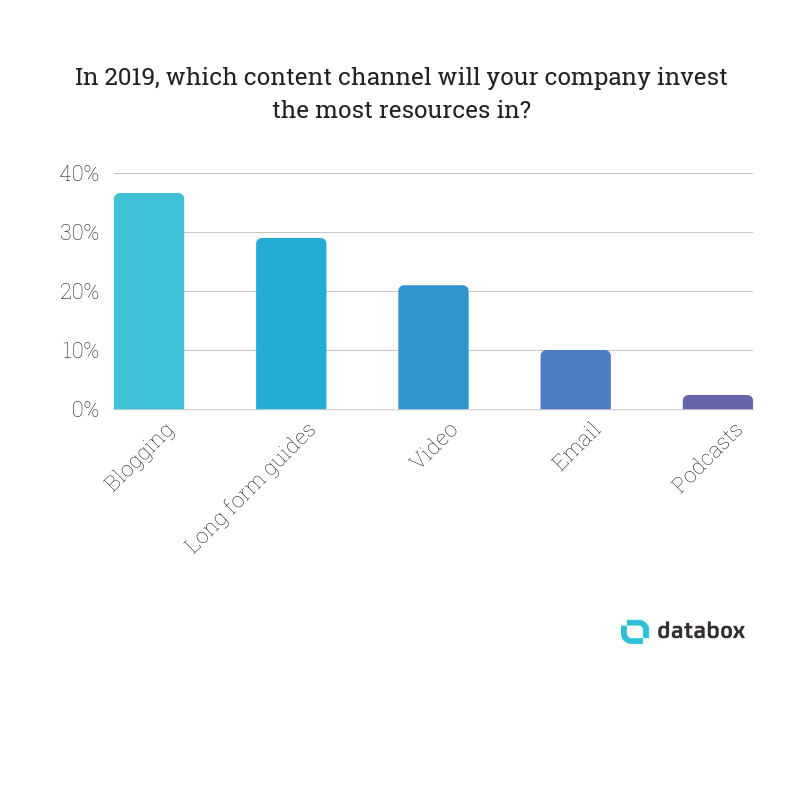 Failing to secure enough time on content marketing activities was the leading factor contributing to B2B marketers’ decreased success, according to a 2017 report by Content Marketing Insitute. These three marketers share how to manage your time effectively. So, how can you make one piece of content multiply? “We hired writers from countries with a low monthly income full time for $500 – $1,500/month to write 12 articles a month. We used Ahrefs to find and focus our writing on low keyword difficulty phrases that were relevant to our audience and wouldn’t require any promotion or link building. Riley Panko of Clutch seconds that sentiment. She says: “My advice would be – don’t cut corners. Starting to build a content strategy from zero seems like an overwhelming task. You may be tempted to put out low-quality content or slack on the strategy to do the most in the smallest amount of time. This won’t serve you well in the long-term, though.